Andrée Dagenais is an Associate Professor in the School of Music where she conducts the Brandon University Chorale, the Brandon University Concert Choir and the Brandon University Women’s Voices (which she founded in 2003). 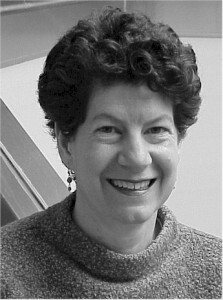 At the undergraduate level, she teaches courses in conducting and vocal and choral techniques. At the graduate level, she offers seminars in choral literature, advanced conducting and choral techniques. Prior to coming to Manitoba in 2000, Dr. Dagenais taught at Université de Montréal, and has also taught at Queen’s University (Kingston ON), the University of Saskatchewan (Saskatoon SK) and McGill University (Montreal QC). She conducted the Saskatoon Symphony Orchestra Chorus for two years and has been artist-in-residence in southern east Saskatchewan. As a guest conductor, Dr. Dagenais conducted a French repertoire concert February 2009 with the Ensemble vocal of l’Université de Poitiers, France. Other guest conducting engagements include the Choral Festival of the first International Outgames held in Montreal and the Manitoba Provincial Women’s Voices Honour Choir, Winnipeg (2006). Dr. Dagenais returns to Québec every summer to conduct at the Musical Center of CAMMAC (Canadian Amateur Musician Musicien amateur Canadien). One of Dr. Dagenais’ home choirs, the select BU Chorale, toured France in 2008 as part of a choir exchange with the Ensemble vocal of l’Université de Poitiers. The Chorale was also invited to perform at the Choral Conductor’s conference in Québec in 2005, at the Winnipeg New Music Festival (2003 and 2004), the Festival Unicanto de Corais de Londrina and at the Festival of sacred music in Sao Paulo (2002). The ensemble also represented Manitoba at the National Festival of Music and won the City of Lincoln trophy in 2000 and 2001. Dr. Dagenais’ other professional activities include team teaching (with Bernard Têtu) the A Choeur joie International’s Choral Workshop for Advanced Conductors in 2005 in le Haut-Rhin, France. She has also been Co-chair of the Programming Committee of ACCC for the national choral conference Podium 2004. She has been invited to Venezuela several times to conduct workshops and be part of the choral competition jury for the VIII Edición del Festival Internacional D’canto. She founded in 2001 and co-coordinates the annual National Youth Choir fundraiser concert Singers Helping Singers. Dr. Dagenais is also a musical scholar. She is North America’s foremost authority on the music of Pierre Robert, court composer to Louis XIV. As an associate researcher for the Conseil National de Recherche Scientifique at the Centre de musique baroque de Versailles, she is working on a critical edition of the collection of Robert’s grands motets. In addition, Dr. Dagenais has presented papers at conferences in Canada, France and Venezuela. Dr. Dagenais received the Sir Ernest MacMillan Memorial Prize in Conducting in addition to several Canada Council grants. She has led many conducting clinics, master classes and workshops, and has served as an adjudicator for national choral competitions. She continues to be in demand as a conductor across Canada, and returned in 2008 to the board of ACCC (Association of Canadian Choral Communities) as the Vice-President for Professional Development.